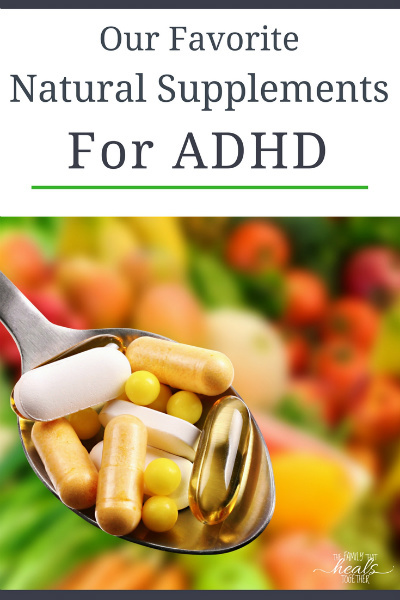 As a family who has dealt with symptoms of ADHD for years, we’ve experimented with lots of natural alternatives to ADHD meds. Below, we’ll share those that have worked best for us! Our son was just three when we were told he needed to be on ADHD meds. Being naturally-minded, that didn’t really sit right with us, but we were desperate to get some relief for his over-the-top behavior. When you have a child who can’t sit still, can’t keep his hands to himself, and can’t follow instructions, you begin to wonder if you’re doing something wrong. We were relieved when a child therapist confirmed he had the worst ADHD (attention deficit hyperactivity disorder, often used interchangeably with ADD, or attention deficit disorder) she’d ever seen in a child his age, but were overwhelmed with what to do about it. If you also find yourself dealing with a hyperactive child, but don’t want to resort to ADHD meds, have hope; there are natural solutions that work! And while I understand the frustration of dealing with a child’s unusual and troublesome behaviors, I always encourage parents to seek out natural solutions first, as conventional meds may have unintended consequences. Let’s first look at some of today’s popular prescription options. stimulants: these include drugs like Adderall and Ritalin and work by boosting levels of dopamine and norepinephrine in the brain, which helps nerves in the brain communicate better. non-stimulants: these include drugs like Strattera and Clonadine and work by boosting norepinephrine in the brain as well. They are sometimes used when stimulants don’t work or cause unwanted side effects. when typical ADHD meds don’t work, or if other symptoms are present combined with ADHD, sometimes meds like antidepressants are prescribed. The National Institute of Mental Health cites the following side effects of antidepressants: suicidal thoughts or attempted suicide; acting aggressively, being angry, or violent; worsening anxiety or depression; irritability; insomnia; panic attacks; acting on dangerous impulses; and more. Side effects for anti-anxiety meds also include depression and suicidal thoughts. Stimulants (used for ADHD/ADD) may cause personality changes. Other side effects may include tics, headaches, and nausea. The problem with ADHD meds is that you don’t know how your child will respond, and often, a secondary or third medication may be prescribed to control symptoms that are caused by the original medication. As if all of this is not concerning enough, consider that many acts of violence have been carried out by children, adolescents and young adults either on or withdrawing from psychiatric medications. Is there a safe medicine for ADHD? No prescription ADHD med comes without risk, but thankfully, there are natural options that work and don’t pose a threat to your child’s wellbeing. First and foremost, your child must be on a real-foods diet. If your child is still eating foods containing neurotoxins, supplements are not going to work well. Consider a gluten and dairy-free diet or look into paleo, primal (which allows raw & cultured dairy), or the GAPS diet. Once you’ve cleaned up your child’s diet and figured out foods he may be reacting to (like gluten or even corn), you may have great success with natural ADHD meds! I’ve written about the specially-formulated magnesium for brain health that remains one of our favorite supplements to treat ADHD. When regularly taking Magnesium L-Threonate, our son is calmer and more focused, and outbursts and impulsivity are minimized. The kind we use is called MagMind, and we follow the supplementation directions on the bottle: two capsules in the morning and one capsule with dinner. Let’s first talk about GABA, or gamma aminobutyric acid, a naturally occurring neurotransmitter. Those who are GABA-deficient may experience symptoms of ADHD, as well as depression, anxiety, or insomnia. The idea is that supplementing GABA will help to relieve these symptoms. However, GABA cannot pass the blood-brain barrier, so effects will not be long-lasting. The only GABA able to actually pass the blood-brain barrier is that created by your brain. While using passionflower as a tincture for various calming purposes seemed to help, the results were not overwhelmingly impressive. I recently came across a supplement that contains high levels of passionflower extracts to target and improve brain health and promote calm. I have been blown away by the calming effects Neural Balance has had on my son. Balance between excitation and inhibition is delicately maintained in many parts of the brain. If the balance between inhibition and excitation among neurons is disturbed in favor of the excitatory glutamatergic pathways, the intensity of excitatory transmission may lead to adverse behavioral and neurological consequences. The Passiflora blend included in Anandanol has an endocannabinoid agonist-antagonist effect (it excites and inhibits) to restore a balance between inhibitory GABAergic pathways and excitatory glutamatergic pathways, supporting natural calm and focus. Magnesium Chloride- quickly restores calm and helps to prevent inhibited nerve cell communication, which can lead to cell excitability. CoQ10: supports celluar energy production, provides immune system support, and has antioxidant properties. B6 is an essential vitamin that is necessary for over 60 processes in the body and in the production of important chemicals in the brain. I’ve told you about how much I love BioRay Kids’ supplements. They are truly unique in how they support children’s bodies and health. The BioRay Kids line addresses the toxic chemicals our children come into contact with daily by putting their signature NDF® (Natural Detox Factors) formula in each bottle. This special chlorella sticks to heavy metals, chemicals, and pesticides and carries them safely out of the body. NDF® (Natural Detox Factors)- supports the healthy function of kids’ organs through detoxification. Solomon Seal- restorative to mental vitality, solomon seal is an herb often used as a tonic to nourish the brain and support the mind. Eleuthro Root- an adaptogenic herb, eleuthero helps to ease stress and fatigue. It helps to build blood and improves the ability of the body to absorb and efficiently use oxygen, including in the brain. 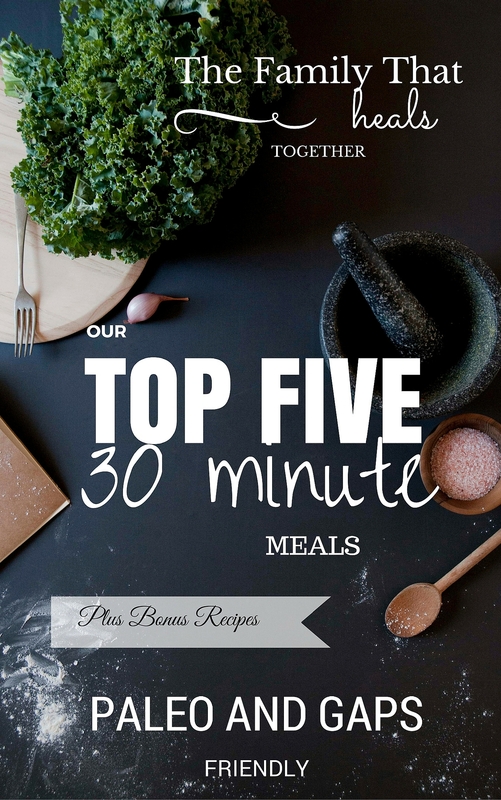 It improves memory and concentration and increases mental stamina. Schizandra Berry- a major adaptogenic herb that helps with relaxation and staying alert. Schizandra berry supports the nervous system and is beneficial for concentration and memory. Other ingredients include mushrooms, which reduce stress and strengthen the immune system, adaptogenic herbs like polygonatum and licorice root, milk thistle, which supports the liver, cilantro, which combats heavy metals, and probiotics, which promote healthy gut flora and combat pathogenic overgrowth. Extra Virgin Cod Liver Oil- cod liver oil contains the omega fats our brains need to function their best, in the most bioavailable form. The only kind of cod liver oil I feel confident in is extra virgin cod liver oil, found here. Because our modern diets tend to lack good fats, extra virgin cod liver oil is a supplement most of us can benefit from (especially pregnant and nursing mothers or those planning to become pregnant, and growing babies and children). Another supplement that everyone may benefit from is a good probiotic. There are many, many probiotics on the market, but in my experience, most are either ineffective or contain allergenic fillers. The only probiotics I give my children are these, which may seem like a large investment, but actually comes to much less cost per dose when compared to cheaper probiotics. Trust me, you get way more bang for your buck with Gutpro, both in efficacy and actual cost. Because behavioral disorders are often linked to underlying gut health problems, a good probiotic is a must for struggling children- just remember to start at very tiny doses and slowly work up. Please consider giving natural alternatives to ADHD meds a try before you resort to mind-altering medications. Find a trusted integrative or functional medicine doctor to help you find the right natural treatment for your child. I hope some suggestions here will provide you and your child with relief and your home with more peace. 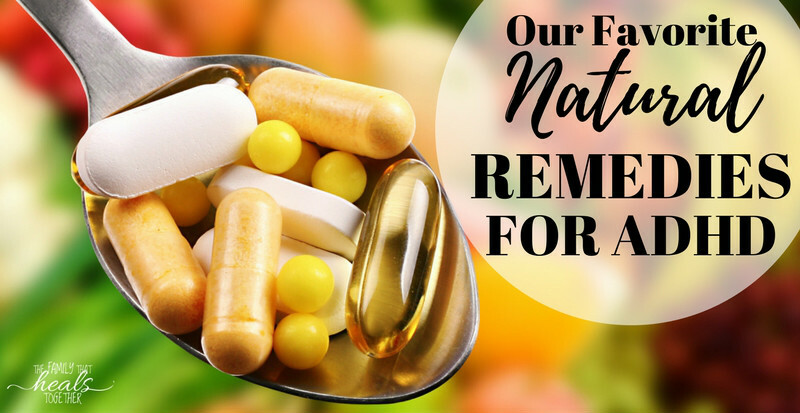 Remember, it’s easier and safer to try supplements that support the body and brain rather than pharmaceuticals that alter your child’s brain. If you found this helpful, please pin the above image or share using one of our social media links below! I am teary-eyed as I read your story and posts. It is as if I’m reading my own in someone else’s words. and for sharing with all of us. I am so encouraged and filled with renewed hope. Do you give each supplement every day? What is a typical day like? (I dare say that.. because here in our home, I’m not sure there is a typical day.) Thank you for the article. I’ve heard about Neural Balance several places lately. Magnesium and others have always been in and out of our natural approach. We are gluten and corn free (3 years now). That has been the biggest “result giver.” I know we need something else to even out the attention and balance the hyper/lethargic days. I appreciate you sharing what you can about your experiences. Thank you in advance. Hi Crystal. Our supplement routine is a moving target, and something you have to experiment with individually. Sometimes he’s on all of these, and other times, he’s not on any of them. I use what seems to be helping at any given time. I hope that makes sense. How do you give the cod liver oil? My son hates anything that remotely taste fishy, how would I go about hiding the smell and taste? Hi Tiffany. My kids don’t mind the taste, but if yours won’t take it, you can try mixing it in applesauce or a little juice or chasing it right away with juice. If your child is old enough, you can also give capsules, as Rosita is now offering capsules. Thanks for being a great resource! Do you still switch between BioRay products or does Focus seem to work the best for you. We have tried Calm for about a week but haven’t notice much of a difference. We continually change our routine and have also found Bioray Kids Happy to help a lot with behavior. You may need higher doses if you aren’t seeing much difference. How old is your son. My son is 9 and wondering what his dose would be? My son is now 10, but dosage will vary from child to child and I can’t advise you on that. What I will say is that it’s always smart to start one supplement at a time and start with a small dosage before working your way up, and use dosage labels as a guide. I want to thank you for the Bioray recommendation. I’ve seen some improvement with using Happy drops. However my 4 year old daughter is having extreme symptoms of behavioral and emotional disturbances, including verbal and physical aggression and meltdowns daily. She’s too young to swallow capsules…what do you recommend instead? Thanks again. I’m desperate and drowning everyday. Thank you so much for sharing your info! My daughter is almost 13 & y’all for her age, I just received my order of Magmind & Neural Balance. Should I start with both supplements or just one? Can you please give me some pointers on how to take them? I always try to start with one thing at a time so if there are any weird reactions, I can pinpoint what has caused it. I also start a lower dosage and work my way up until we find what works. Do you use both Magmind and Neutral Balance daily for you son? The supplements we use is always a moving target, but yes, we’ve used both daily at various times.